Fish and other Seafood caught will deteriorate if not stored in containers and salted for preservation (see Salt Mine). Baskets (manufactured on the Basketwork) and box models A- G (manufactured on the Carpentry) are used with the Packaging and Labeling (Seafood) [G&S] table. Without packaging and salt the expiry time of fish is 2 days, all other seafood is 5 days. Once packaged and salted they will not deteriorate. – Needs SL water a couple of meters deep to fish. 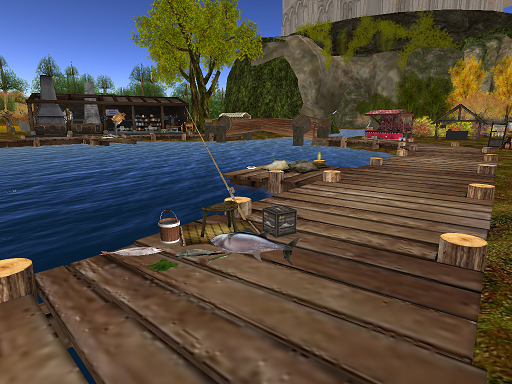 – Wear RP-Hud to cast rod to catch fish & prizes. – “Corchuela: Ready” message in local chat when the rod is cast, if you do not see that message you must cast your rod again and check you are not casting onto land or an object and water is deep enough. 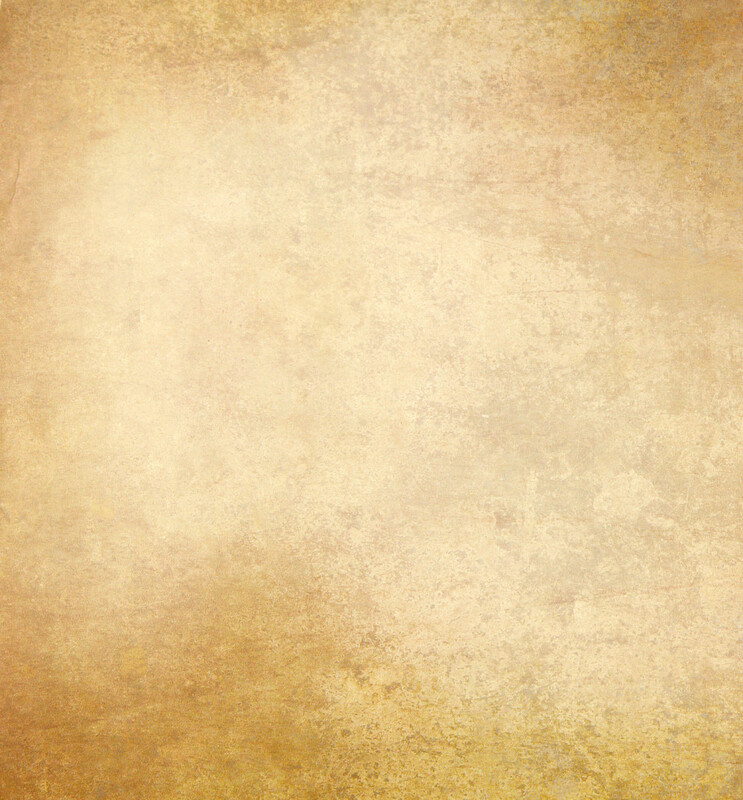 – Special bait is cooked on stove (5x fish) to get bonus +1 to obtain a Capture. Rez the bait & click to load into the rod. – Must rez object “Capture [G&S]” on the ground, as soon as you can, on the same sim where you caught it. 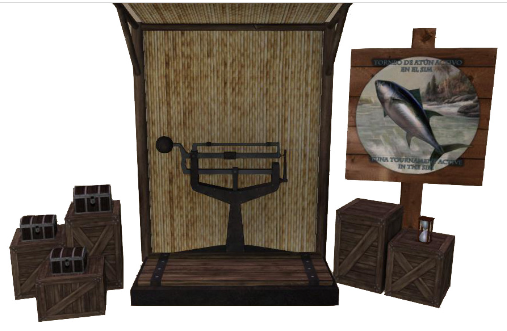 – Fish at active Tuna Tournament sims to enter the competition to win G&S coins with the biggest, best tuna! Only on active tuna sims can you catch the tuna, salmon, eel, seaweed, secret recipe/formula bottle to study on desk & other special prizes. – 3 day public or private G&S tuna tournament on sim to catch tuna, salmon, eel, seaweed & a secret recipe/formula & special prizes. – Can add extra coins & gifts as prizes for tuna competition. – Weigh (rez) tuna near the tournament scales to check weight.